Anna Paquin stars in Flack, a comedy-infused drama set in the world of PR that follows an expert fixer who struggles to keep her own life together. 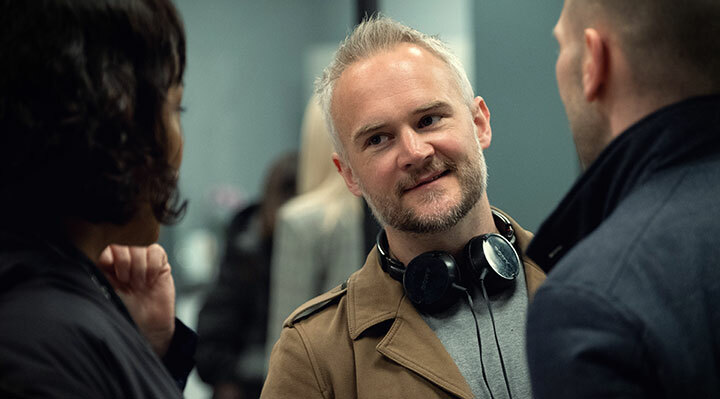 The actor plus creator and writer Oliver Lansley and executive producer Jimmy Mulville tell DQ about the long journey to bring the series to the screen. Anna Paquin has starred as a telepathic waitress in a town full of vampires and played a girl with supernatural powers caught in a global battle between humans and mutants. But the worlds of HBO’s True Blood and the X-Men films are a far cry from the fast-paced and cutthroat industry of PR, where the actor leads an ensemble cast in UKTV Original drama Flack. 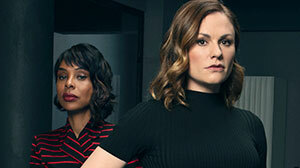 The six-part series, produced for UKTV’s W and US network Pop TV, sees Paquin play Robyn, an American PR executive living in London who must figure out how to make the best of the bad situations in which her clients find themselves while also fighting her own personal battles. Episode one sees drinking, smoking and drug-taking Robyn trying to save the marriage of a TV chef caught with his trousers down, welcoming a new intern to the company and appalling her sister with her bad life choices, all while marking the anniversary of her mother’s death. The cast also includes Sophie Okonedo (The Slap), Genevieve Angelson (House of Lies), Lydia Wilson (Requiem), Rebecca Benson (Game of Thrones), Arinzé Kene (Crazyhead), Marc Warren (Mad Dogs), Rufus Jones (W1A) and Rebecca Root (The Danish Girl). Max Beesley appears as the aforementioned chef, while in another episode, set entirely on a plane, The West Wing’s Bradley Whitford plays an American movie star who has been caught with compromising material on his computer. Paquin, who is also an executive producer on the series, had been developing the drama with creator Oliver Lansley and Hat Trick Productions through her CASM Films label for more than five years before one final swing saw it land with UKTV and Pop. Flack originated as a half-hour series that was produced as a pilot,but didn’t get picked up. Hat Trick then put it on the back-burner, before it was developed at HBO, where Paquin joined the show through her involvement in True Blood, which also aired on the US cablenet. HBO subsequently dropped the project, but Paquin remained on board. And as she began to spend more time in England after marrying her English True Blood co-star Stephen Moyer, it was decided that the series should be relocated to London. It was at that point that executive producer and Hat Trick MD Jimmy Mulville sent the scripts to UKTV senior commissioning editor Pete Thornton, who responded positively. With more funding needed to secure the budget, US cable network Pop TV came on board and the financing jigsaw was complete. Hat Trick International is shopping the series worldwide. 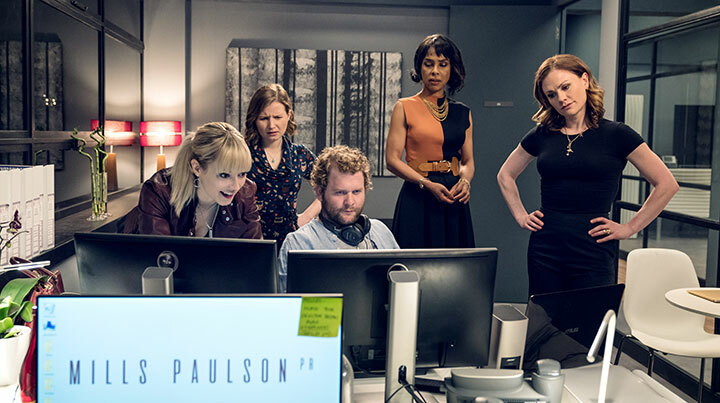 Though there are serialised elements that leave enough story hanging at the end of each episode to flow into the next, Flack employs a story-of-the-week structure, with plots ranging from a girl looking to change her image after finding fame on a talent show to a footballer who is worried about a salacious story getting into the papers. “It’s all about how they control these celebrities’ lives and how they keep them out of the public eye for the things they’ve done,” Mulville explains. Lansley himself has been working on the series in some shape or form for the past six years. He says the starting point was a desire to write a show with a strong female protagonist, at a time when complicated male characters such as Don Draper (Mad Men) and Walter White (Breaking Bad) were dominating the small screen. That the show ended up in the PR world was down simply to the fact that Lansley, who began his career as an actor (Best Possible Taste: The Kenny Everett Story), was fascinated by the industry. After writing the pilot, Lansley began the script-writing process by setting up a small writers room with a number of female scribes, including a pre-Fleabag Phoebe Waller-Bridge plus Vicky Jones, Yasmine Akram and Rose Heiney, who helped come up with story ideas and offered notes on his scripts. Paquin also joined in with plot points and character beats. “That was a slight nod to a more American process that I was interested in doing, but it’s rare in the UK that you can afford a writers room,” he explains. “This show was stewing inside me so much that it flowed out quite easily when I came to write it.” All six scripts were ready when UKTV and Pop commissioned the series, though each saw some reworking before filming began last year. Telling the story of an African man sold into slavery in the US, miniseries Roots became a cultural sensation upon its release in 1977. Now, History hopes to make a similar impact with a remake of the iconic show. DQ meets the cast and crew. There’s no denying that remakes are in vogue. From film-to-TV adaptations to reboots of classic television series, the 2016/17 broadcast season will be littered with a host of familiar stories and titles. Some of the films getting small-screen versions include The Exorcist, Lethal Weapon, Taken, Emerald City (based on The Wizard of Oz), Training Day, Frequency and Time After Time. And new versions of MacGyver, Prison Break and 24 will join long-running Hawaii Five-0 among the series enjoying a new life this fall. Before then, however, US cable channel History has chosen to remake classic slavery drama Roots for a new generation of viewers, almost 40 years after Alex Haley’s iconic novel was first adapted for television. Launching on May 30 and airing over four consecutive nights simultaneously on History, A&E and Lifetime, the A+E Networks series is described as a historical portrait of American slavery recounting the journey of one family and their will to survive and ultimately carry on their legacy despite hardship. 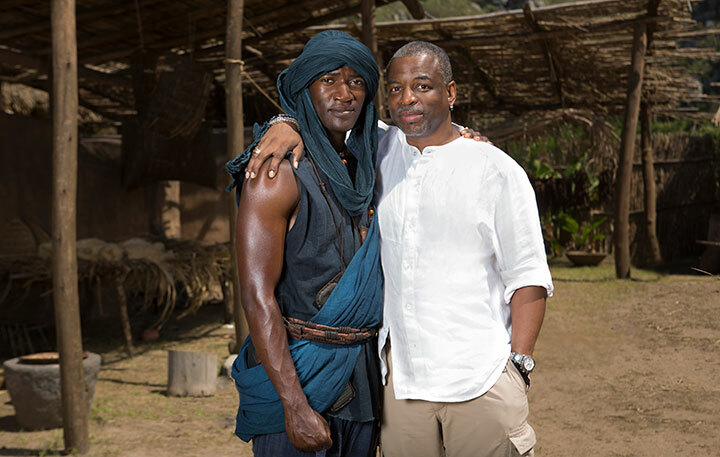 Spanning multiple generations, the story begins with young Kunta Kinte (Malachi Kirby, pictured top) who is captured in his homeland in The Gambia and transported in brutal conditions to colonial America, where he is sold into slavery. 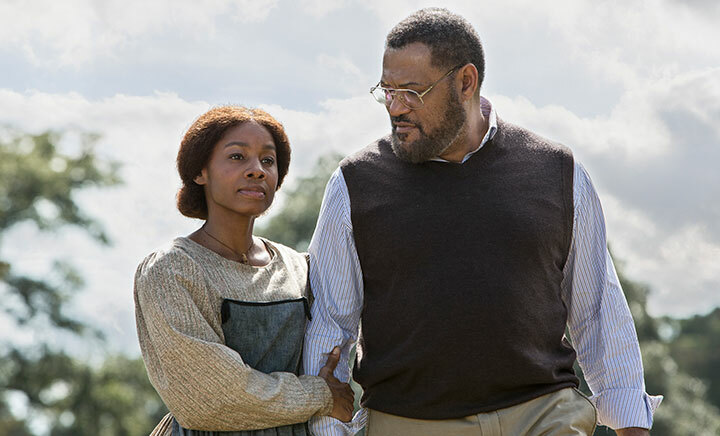 Throughout the series, the family continues to face adversity while bearing witness and contributing to notable events in US history – including the Revolutionary and Civil Wars, slave uprisings and eventual emancipation. The original series was a critical and commercial hit for ABC. On average, more than 80 million people watched each of the last seven episodes, according to the Museum of Broadcast Communications. Some 100 million viewers – almost half the country – saw the final episode. It also scored a host of awards, winning Emmys including Best Limited Series, Best Director, Best Music Composition and Best Writing in a Drama. While the drama captivated a nation, it also proved a catalyst for people to learn more about the US slave trade and race relations, having a lasting impact in schools and universities less than 10 years after the battle for civil rights dominated the 1960s. And that legacy is something the cast and creative team of the new Roots miniseries are only too aware of. For executive producer Mark Wolper, there’s an added element of responsibility in the fact that his father, David, produced the original adaptation. “We could not have taken on a more difficult, ridiculous notion than remaking Roots,” he says. “The equivalent would be remaking one of the greatest films of all time – we’re trying to do Casablanca again or Singin’ in the Rain. But in the TV world, we’re taking on one of the most successful dramas of all time. Although Wolper calls the new Roots a “completely different imagining” of Haley’s story, he admits it is a remake, adding: “But if you remember something being great and you go back and look at it now and think, ‘It’s not as strong as I remember it,’ you should do it again. If you remember something being great and you go back and it’s still great, you shouldn’t touch it. 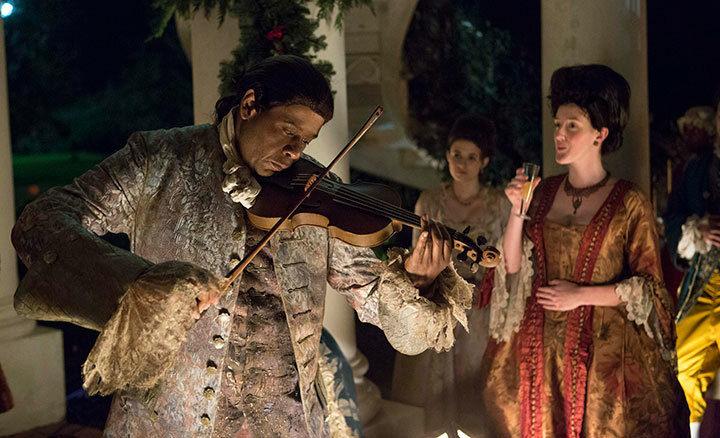 Rose was cast in the miniseries after meeting Wolper and finding out more about his ambitions for a new version of Roots. “I was satisfied in that meeting that it was something that was respectful, and that made a great difference to me,” she says, adding that she avoided watching the original series before or during filming. The cast also includes big-name stars Lawrence Fishburne, Forest Whitaker, Jonathan Rhys Meyers and Anna Paquin, who also hadn’t watched the original, or read the book, when she signed up to play Nancy Holt. “I’m just appropriately respectful of the fact that I’m not American, it’s not my story and it’s very important. I wanted to make sure if you’re going to tell someone else’s story, you’re doing it properly and in the appropriate way,” the New Zealander says. “Also, I wasn’t dying to play someone who was evil, so I was a little apprehensive about being white and in Roots. It depended on what I had to do, because there are some things I don’t think I creatively need to explore. Wolper says Roots became “the most difficult and complex thing” he has undertaken in his 35-year career as the production team strived to realise their ambitions of creating four distinct films that will air on consecutive nights. “We were shooting some of them simultaneously, on different continents and on a very rushed schedule because our broadcast partner wanted to air it this May,” he explains. “So it was enormously complex, with the added burden of the responsibility to the show, what it represents, its history, the legacy – all these things contributed to making it supremely difficult, challenging and emotional. It also puts into perspective one of the most difficult aspects of filming Roots for television – how do you balance the importance of the story on screen with the desire to entertain viewers? But in another 40 years, will there be a need or a desire to retell Roots for the next generation?